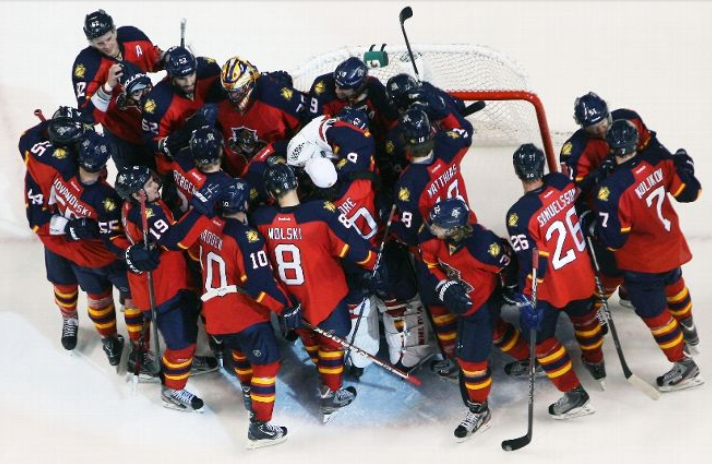 The last 24 hours have not been the status quo for the Florida Panthers and their fans. The blockbuster transaction that came over on Tuesday, of course, was the club re-acquiring former star goalie Roberto Luongo and minor leaguer Steve Anthony from the Vancouver Canucks for Shawn Matthias and Jacob Markstrom. Briefly on the latter two. First, Matthias, while hot the last few games, has been a disappointment for most of this season after re-signing with the Panthers. Matty is an effort-over-skill guy, and he’s at his best playing a high-energy type game. That has been lacking this season. As for Markstrom, the Swede had more than his fair set of chances to earn playing time, and he simply hasn’t developed. He routinely seems out of position, and his mechanics appear to have slipped. I’ll recall fondly his 40-save effort in his second career win in early 2011 in a 2-1 win at Montreal, but that’s about it. Time just expired on Marky—at least his time in Sunrise. Monday’s first trade involving Florida, though, brought over offensively skilled center Brandon Pirri from Chicago for a couple of future picks and is an intriguing deal put together by current Florida and former Chicago GM Dale Tallon. Pirri is a former AHL scoring champ and gifted shooter, and he’ll get the chance to contribute right away. Skating on a line with Jonathan Huberdeau and Jimmy Hayes, Pirri made his Florida debut just under five minutes into Tuesday’s game against Boston. He made an immediate impact by drawing a penalty on just his second shift of the game against Boston. Pirri, 22, looked like he belonged and mixed it up. George Foreman pounded Joe Frazier in Jamaica to win the heavyweight title. Remember Howard Cosell’s “Down goes Frazier! Down goes Frazier!” call? The World Trade Center officially opened. The Sears Tower was finished, too. The Knicks defeated the Lakers in five games to claim the NBA title. Yankee Stadium closed for a two-year, $160 million renovation, with the club playing at Shea Stadium the following two seasons. Those are just some of the highlights from the year closely related to that odd hockey number. No. 79 would have been a decent choice because the Cats could fire up “1979” by the Smashing Pumpkins, but hey, we’ll go with 73. And Pirri should score or be in the middle of goals or offensive highlights somehow, regardless of the number he’s wearing or goal call by the announcer at BB&T Center.